I love jewelry. Especially jewelry that means something to me. 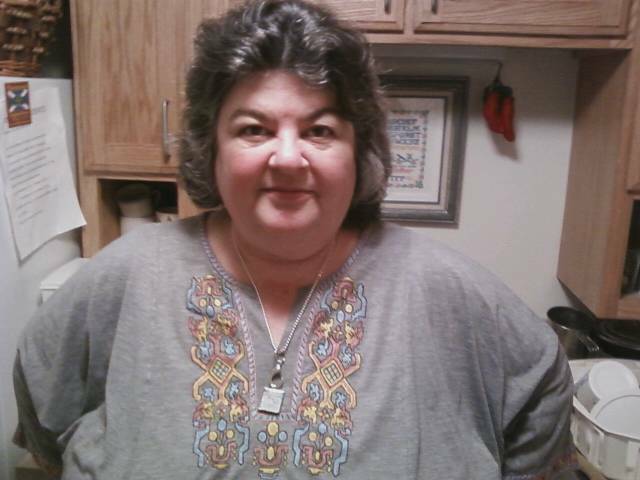 When I discovered Chella's Collection on Etsy, I was delighted! Chella's Collection specializes in beautiful Map Pendants! How perfect is that? We all have a special place in our minds and hearts -- for me, that place is Tybee Island, Georgia. I was born there, grew up there... but I've been away from home for 10 years now. And I am slowing but surely making my way back home. This great shop also appealed to me because Mike is a Land Surveyor -- maps just touch our lives in so many ways. I'm sure that you are touched by a special place as well. Whether it be home or a dream vacation or somewhere "over the rainbow" -- that special place you've always wanted to see. I was so thrilled when give then opportunity to own one of Julie's amazing map pendants. I knew immediately that a map of Tybee would be my choice. When it arrived, I just wasn't prepared for the rush of emotion that rolled over me. I cried. It's rare that a piece of jewelry can touch one so deeply. But it did. I haven't taken it off since I received it (except for showers!). I wear it... I touch it often... it's become a comfort to me. I feel like I have just that small piece of home and it makes me happy. The Pendants that Julie designs and craft are simple, but lovely. She constructs the pendants from copper, brass, silver, and gold-tone. They are available in rectangles, squares, and circles. And of course, the maps themselves are almost endless! If you don't see your special place on the web site -- don't despair -- just ask! She will do her best to find it for you! Julie also creates custom-made maps. Choose your location and she will do her best to satisfy your need! *Do not immerse any pendants in water. *Do not apply silver polishing liquids. *Use only very gentle jewelry buffing cloths with no chemicals. *Store pendants in a jewelry box. Julie has generously offered TWO of my readers the chance to win a Custom Design pendant of their very own! Is that not amazing?!? Total Value: $27! Open to USA, only please. One entry per email per person per household. All entries are verified before winner is announced. I received a custom pendant for the purpose of this review. I received no monetary compensation. The opinions expressed herein are my own and based on my own use of and experience with the item. I like the germany map pendant. I would do a pendant of Hawaii I think. I like the girlfriend pendants. Scotland Map Pendant in Coppper Rectangle. I like the Paris, France Map Pendant. I can't decide which map, but definitely the rectangular shape in goldtone. i like the antique brass pendant! I love the Map Pendant, Custom Order Option-Large Square Silver, You Name the Place! Awesome gift idea! I love the Circle shape in Silver. I like the Yankee stadium pendant. I like the Niagara Falls Map Pendant. Niagara Falls or Boston, Massachusetts in a round silver pendant. I like the Detroit, Michigan Map Pendant in Copper. That's where I grew up. I would choose the square, Detroit, MI in Cooper. the custom order round silver one. I like Paris France Map Pendant. I might ask for a square silver pendant of Washington, DC. I like the Map Pendant, Ireland in Round Brushed Brass! I love the Mount Mt. Kilimanjaro Map Pendant it's so unique. I would like a custom make. For Both blog post comments I combine in one the first answer is I love this one. http://www.etsy.com/listing/70233232/map-pendant-custom-option-rectangle-in & the second question I'd pick either the rectangle or the square. I'm not really a circle person lol That sounds odd. But I really really love the pendants, 2 cute!! Rectangle OHIO map pendant for me! I really like the Map Pendants in Brushed Silver! I like the antique brushed pendants! I also like the Maryland one. I love the custom option rectangle in pewter. I would get the rectangle in pewter and I would see if there is any way that she could do one of barcelona spain. It is a place I have always wanted to go there and the fountains, museums, architecture, and just the beauty of the land all speak so highly to me. It brings me a sense of peace, comfort, freedom, happiness, joy and contentment. I would like a custom made one of my hometown. I would like the round, silver pendant. I would do a custom one. I would do round and silver. I like the New Orleans pendant best. My ideal pendant would be circular, in copper. I would love the square UK map. I like the Small Round Silver Pendant with a map of Quito, Ecuador. I lived there for a while and would love to keep it close to my heart! i'd do a small silver round pendant with japan! I love the boyfriend pendant set- has one for each person. So cute, especially being in a long distance relationship! I love the Ball Chain 24 inch Necklace Silver Plated!! I do like the Brass Pendants a lot and would like it to be mapped in Illinois!! I like the Atlanta, Georgia map pendant. I would use the Atlanta, Georgia map in a round circle with copper. I like the girlfriend necklace with the square & circular pendants, in brushed copper. The maps I would like would be of Waterloo, Ontario Canada and Dominica. 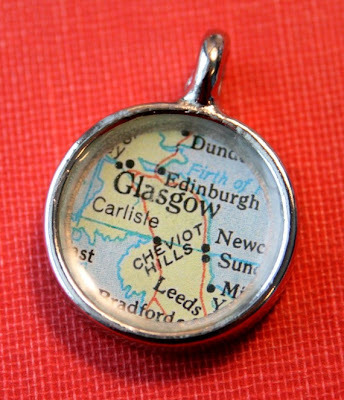 My favorite pendant in her shop is the Scotland map! I love that you can see several of the main Scottish cities. Thanks for the chance to win! I like the antiqued bronze bronze circle shape, which is probably what I'd choose. And I'd like the map to be of Scotland. I would pick a round silver pendant of east Tennessee. The girlfriend pendants are really cute. I would love a round silver pendant, custom made, of Bolivia for my daughter, Rach, who lived there for a year as an exchange student! I like the Custom Order Option-Map Pendant in Copper Medium Round where I can pick my own city. I would like the map of North Carolina in the Copper Medium Round. I love the China Pendant in copper - my daughter is from China! Love the Cape Cod pendant! really like the custom goldtone rectangle! I also like the round shape in silver. I love the Boyfriend Pendant. 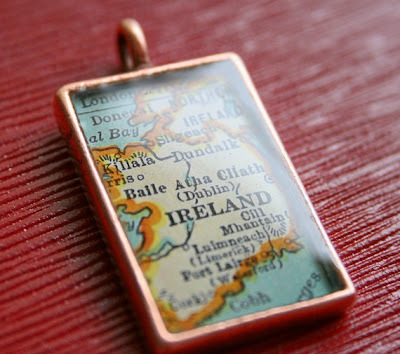 I would love a map of Ireland, like one pictured on another pendant! I love the copper metal as well!